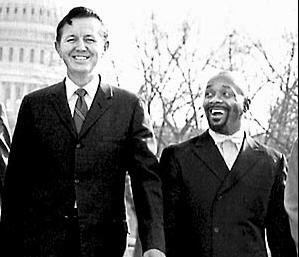 The history books are full of civil rights heroes who were from Maryland. Thurgood Marshall, the first African American Supreme Court Justice, was from Maryland, as was Frederick Douglass. But there were so many who were instrumental to the fight for equal rights who are lesser known. In a feature series done in partnership with the Maryland Humanities Council, CEM profiles four of these unsung heroes. Our series begins with Carl Murphy, the editor and publisher of the Afro American newspaper. We then profile Juanita Jackson Mitchell, the first black woman to practice law in Maryland. Gloria Richardson, who was the leader of the civil rights movement in Cambridge, is profiled as well as “Pip” Moyer and “Zastrow” Simms. The series ended on December 1st, the anniversary of Rosa Parks refusal to give up her bus seat, with a profile of the mother of the Civil Rights Movement. To learn more about the Maryland Humanities Council’s plans to honor the legacy of Rosa Parks, please visit www.mdhc.org.